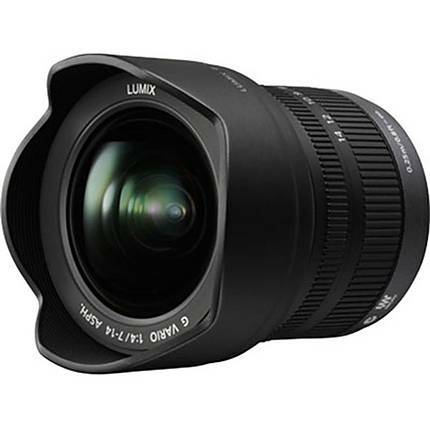 The Panasonic 7-14mm is a compact ultra wide angle lens that enables you to capture excellent wide angle shots. 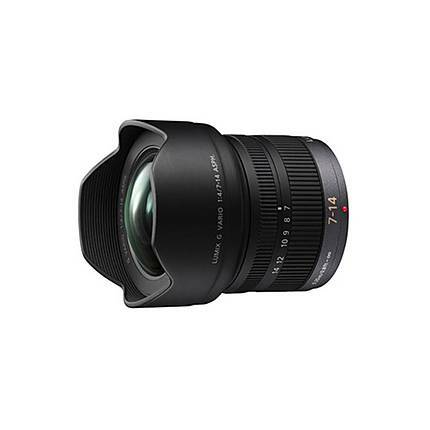 The lens has a focal length range of 14 mm to 28mm. It gives you a maximum aperture of f/4.0 enabling you to create beautiful defocusing and bokeh effect. 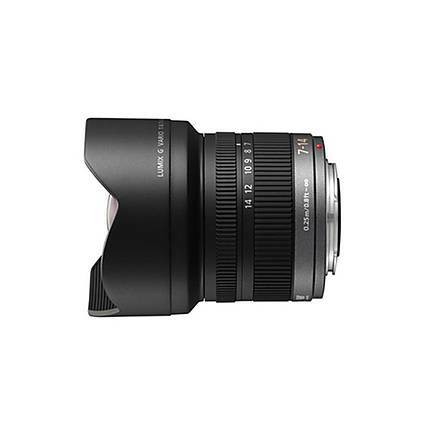 This lens has a wide angle of view of 114 degrees, making it perfect for landscape and portrait pictures. When this lens is mounted with an LUMIX G Micro System camera, it gives you advanced contrast AF with features like face recognition. The lens has a construction of 16 lens elements, placed in 12 groups.